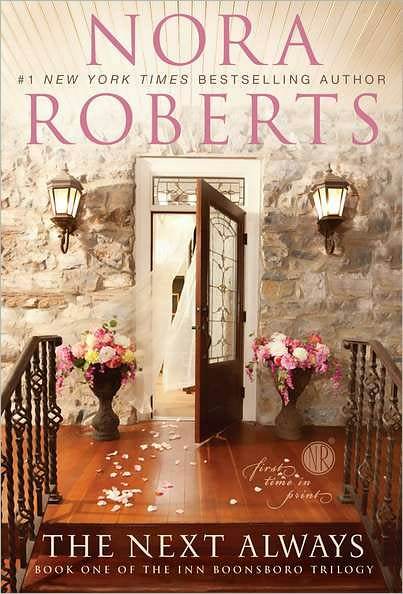 Nora Roberts is a name that has become almost synonymous with success in publishing. She has written an astounding number of novels, and almost all of them have been bestsellers. What’s even more surprising, though, is that Roberts’s novels are always of high quality and are reliably entertaining. With her latest romance series, the Inn BoonsBoro trilogy, she introduces architect Beckett Montgomery and the woman he has crushed on since high school, Clare Brewster. Beckett Montgomery has never forgotten about Clare Brewster, also known as the one that got away. He loved her in high school, and though years have passed, his feelings for her are still strong. Beckett is an architect now, working with his brothers and mom in a family-owned business, and he’s content with his life. But when he runs into Clare Brewster, he begins to regret never acting on his feelings in high school and realizes there is a very large hole in his life. Clare has three sons and runs the town bookstore. She returned to BoonsBoro after her husband was killed and is content in her role of mom and sole provider for her kids. Clare doesn’t have time to think about men and doesn’t believe she has room in her life for a partner. It never crosses her mind that Beckett might have feelings for her. She is in for a surprise once he decides that he wants to move things to the next level. While Beckett is trying to romance Clare, he and his brothers have taken on an ambitious project: to restore the old Inn at BoonsBoro. It’s historic and has been standing for hundreds of years. No one knows the number of triumphs and tragedies it’s witnessed, but what the Montgomery brothers do know is that it presents a welcome challenge. But things at the inn might not go as smoothly as they expect, as a ghostly presence at the inn decides to make itself known.